Peoria, IL (March 17, 2014) — In collaboration with the City of Peoria, City of Washington, and the Washington Chamber of Commerce, the Peoria Area Chamber of Commerce is planning a Shop Washington weekend April 11, 12, and 14. We are encouraging the entire Greater Peoria Area to participate by supporting the businesses in Washington. CityLink will be providing a bus for shoppers on Saturday, April 12. The bus will be departing from the Riverfront Clock Tower in front of the Spirit of Peoria at 10 am, stopping at Cherry Tree Shopping Center, Valley Forge Shopping Plaza, and Washington Square. The bus will return to Peoria at 3 pm. Several stores will be offering special incentives and promotions for the weekend. Everyone is encouraged to wear orange and show their support. Click here for the coupon book to use throughout the weekend. 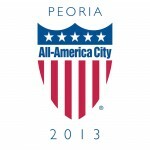 The Peoria Area Chamber of Commerce is a membership organization of area businesses, delivering value to its members by cultivating a thriving business community, presenting the united voice of local business to government, offering continuously upgraded products and services for business enhancement and providing strategic business advisory services. Through the Chamber’s strategic plan, it is focused on being the leading voice for business in the region through political advocacy; inclusive and diverse in the approach to our work; an advocate to improve the quality of place in the region; and a source for strong leadership development. The Peoria Area Chamber of Commerce is sister organization to the CEO Council and both organizations share services through the Greater Peoria Business Alliance.